There are 16 questions and 17 answers. Make The Best Use Of Your Limited Space With This Loft-Bed In Unfinished Premium Douglas Fir. 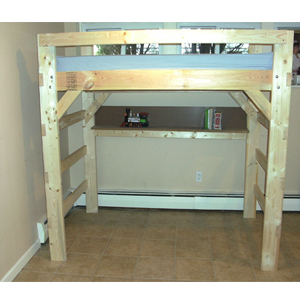 The College Loft-Bed Is A Free Standing Loft-Bed That Comes As A Ready To Assemble Kit. There Are Two Leg Heights Available, The Regular 69 In. Or The Extra Tall 83 In. Legs. We assume you will use an 8 In. Mattress which will give you a clearance of about 55 In. for the 69 In. Leg or 67 In. Clearance for the 83 In. Legs. If you need more clearance you would need to use a thinner mattress and let us know the size. Please Contact Us If You Would Like A Custom Height Or Length. We can also place the Bottom Bunk on the floor to maximise the space between the bunks. You can choose that option below at no additional cost. What is the difference of these three beds. Manhattan, Heavy duty, and Premiere beds. The heavy duty and Manhattan us 2 In. x 4 In. for the safety rails and ladder rungs. The Manhattan has 4 angle support. The premier uses 2 In. x 6 In. for the safety rail and ladder rungs. We use Premium Douglas fir. I am interested in purchasing a loft bed, but I have a latex mattress that needs a flat board support, it would fall through the slats that are on the basic loft. Is that something I could custom add to my order? 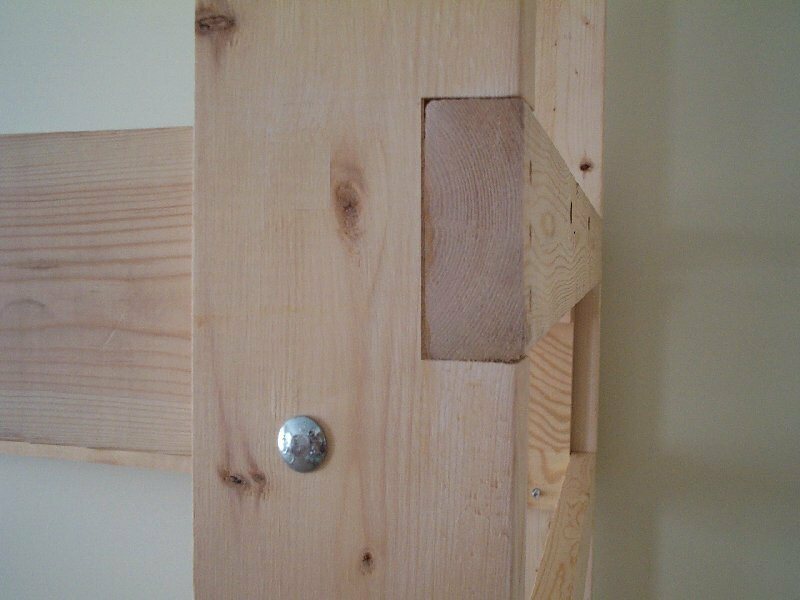 For a Foam Mattress it is best to purchase a Bunkie Board Foundation so the mattress will sit on a solid foundation instead of just slats. Quick question for you, I do not know why I just woke up thinking about this at 3am...I guess our brains never sleep. 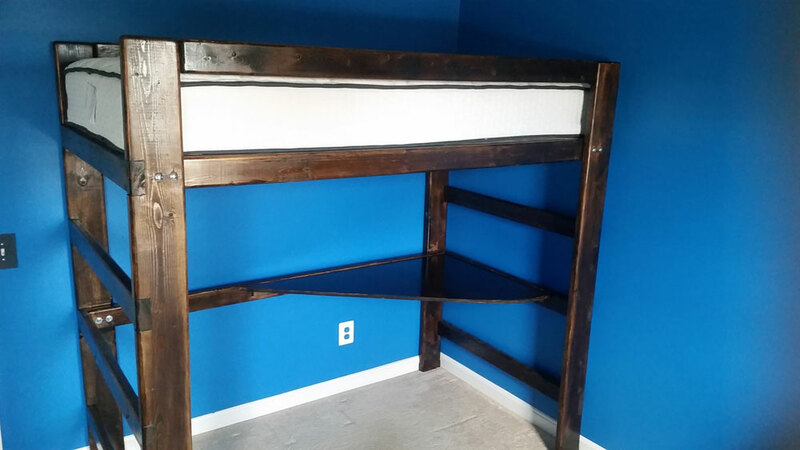 In any event, I placed an order for a custom loft bed with child safety rails on three sides but did not specify which side should be left open for bed access. Do both sides come pre drilled If not, we need the right end left open when facing the loft from the front. You can put the opening on the left or right. All you need will be included in the package. If you want it in the center then you need to let us know. What is the maximum thickness of the Mattress? We build it based on an 8 In. mattress, however you can use any thickness as long as you let us know the size. We will custom build the bed based on your mattress. Yes, you can pick it up from our Bronx Factory. We are open during the week from 9am to 6pm and on Friday from 9am to 4pm. It takes time to make the bed so we will call you when it is ready for pick up. 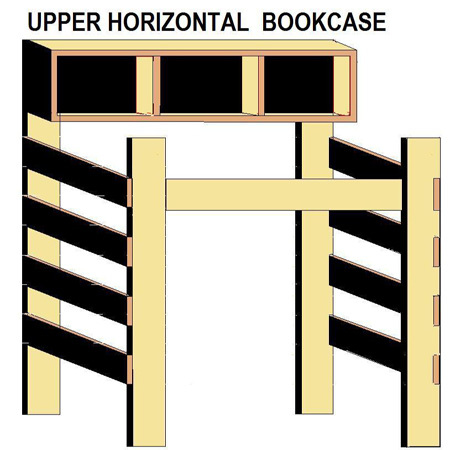 Any way I can receive this without two lower barriers on the sides? I want to purchase the stairs, and would like to put things under the stairs. The ladder rungs are necessary for the stability of the bed. They can not be left out. We have other models that do not require it such as the XO. Does this loft need to be attached or bolted to the wall? No, it is free standing and you do not need to bolt it to the wall. Can I put any kind of mattress on the unfinished wood full sized loft, or does it have to be a special kind? And, how much are the stairs? Yes, any typical full size mattress will fit. The twin size stairs are $175.00 and the full size stairs are $225.00. Both sizes stairs will fit but the twin stairs will be a little short for the full size bed. can i pick this up at your location, if yes what is the number and address. Can I put a fullsize boxspring and mattress on the loft bed? Probably around 16in total. Are higher safety rails available for that height? Yes, you can put a box spring, however we would need to drop the clearance under the bed by the size of the box spring and you would loose the space. The Box spring will not serve a purpose as you can just put the mattress on the slats or Bunkie Board and save on the space. 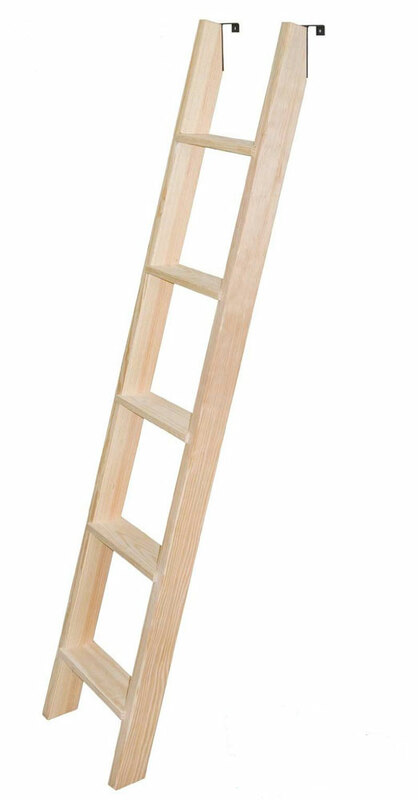 Already own the heavy duty twin sized loft bed, however forgot to order the hook ladder at the time of our purchase. Need to order it, however the site is not allowing me to add it to my cart till I order the loft bed. Please help! Thank you. Please send us an e-mail to cs@elitedecore.com and we can place the order for you. 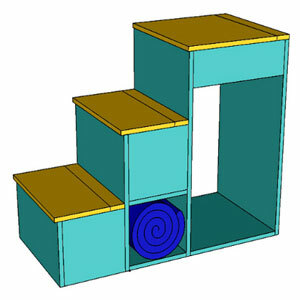 The step area for each step is 11 In. Deep. Can I place a pragma adjustable frame on top of the slats? Also, if I move is it easy to take apart? Yes, it is very easy to put together and take apart. I am not sure how you want to place the Pragma Bed nor the model of the bed you want to use. So I can not say either way. 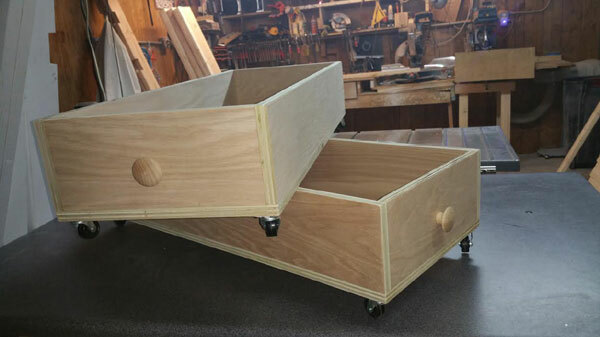 I am thinking about getting a twin xl lofted bed frame. Can this bed frame be deconstructed if I need to move in the future? Yes, it is very easy to assemble and un-assemble. You can assemble it back many times without any issues. Yes, we can make them any size you like. Please enter your choice in the comment section of your order.